SnackCrate Review: The Best Snack Box From Around The World? Calling all snack fanatics! How would you like an easy way to try snacks from all around the world? If you’re interested in taste testing the favorite snacks of other countries, SnackCrate might be your new friend. 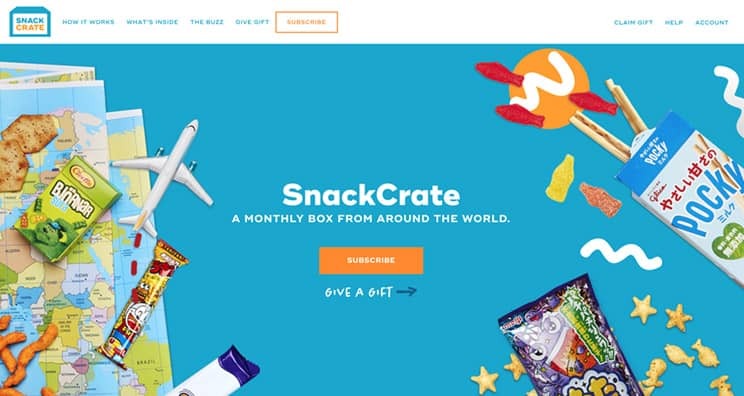 With their monthly subscription service, you can receive a curated box that’s filled with snacks from around the world. First, choose which size box you’d like to receive each month. They currently have three different options for you to choose from, which are the Mini, Original, and Premium. The Mini box gets you five full-sized snacks every month, which is a half-pound crate. For those who want a little more snacks in their life, you can go for the Original or Premium offerings. The Original box will deliver you 10-12 full-sized snacks, while the Premium box will give you 18-20+ full-sized snacks. Which one you go for obviously depends on how many new snacks you’d like to receive and how much money you’re willing to spend each month with SnackCrate’s subscription service. You’ll also have the option to add a drink to your order as well. The drink will be one from another country, so it’s likely going to be something you’ve never had the chance to try before. You’ll notice a simple “Yes” or “No” option to add a drink to your order or not. If you do decide you’d like to receive a drink as well, this will cost an additional $6 per crate. From there, you’ll be prompted to create an account and then you’ll be moved through the checkout process. You’ll add your billing and shipping information and before it you know it, your very first order will be placed. You just have to sit back and wait for it to arrive! The only down side is that you don’t get to choose which snacks you receive in your box each month. Instead of allowing you to pick and choose what you’d like, it all gets left up to SnackCrate. However, the whole idea is that you get a fun surprise in the mail each month with snacks you wouldn’t try otherwise. If you like the idea of being surprised with every order, then you’re sure to appreciate what SnackCrate has put together for their customers. Either way, it’s a great experience to try something new and to experience the favorite treats of other cultures. You’ll receive a curated selection of snacks from the country you chose during checkout. Because each month is a surprise, there’s no telling what you might receive. However, you can expect to find quite the variety inside your box. You’ll find sweet treats like chocolate, potato chips, gummy snacks, and so many other things. Plus, if you chose to receive a drink in your order, you’re really in for a treat then. 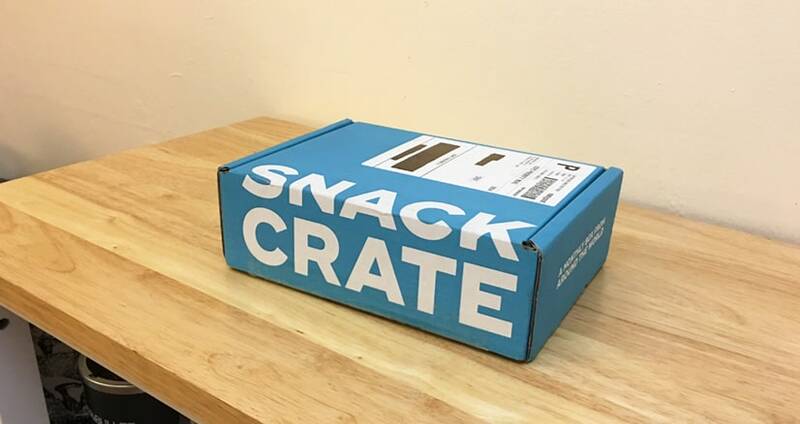 SnackCrate might even include foreign favorites of some of the American snacks you’re used to eating. For example, you could find some Matcha Kit Kats (also known as Green Tea Kit Kats) in your box one month! Each box is a surprise so this could be a pro or a con for some people, depending on if they want to know what they’re receiving. If you do decide to go with SnackCrate, remember the element of not knowing what your snacks are is a part of the whole snack experience! For those of you who live within the United States or one of their territories, you are in luck. SnackCrate will deliver to your area. If you are a new customer, your SnackCrate order will ship out right after you sign-up. This usually happens within a week of placing the order. After that, you can expect your account to renew on the 5th of each month. Then, your SnackCrate will ship out by the end of the month. The reason it takes so long is that the snacks in your box have to be imported from the country they have come from. Snacks get submitted to the manufacturer, then they’re flown to United States and submitted to U.S. Customs. Once the items have been inspected and approved, they’ll be boxed up and shipped to you. It’s a lengthy process that takes about three weeks time. There are no guaranteed delivery dates when it comes to their orders. However, you will receive a shipping confirmation when your box is on its way. This will give you the chance to track your order and you can then anticipate its arrival. You also don’t need to worry about being home for the delivery. All packages are primarily shipped via the United States Postal Service (USPS) and will be left at your home whether you’re there or not because a signature is not required. You don’t have to worry about it being left outside either since nothing needs to be kept cold, therefore none of the items will spoil during transport. Fortunately, shipping doesn’t take long, as the order typically arrive within three business days after being shipped out. Our first box came within 48 hours of ordering. All of your snacks will come packed neatly in a SnackCrate box. Once you’ve unpacked all of your items, you can recycle the cardboard box at your local recycling facility (which they encourage). Because the snacks differ each month, they’re all going to come in different packaging. If you want to do your part, check the snack labels before tossing anything into the trash. If it’s able to be recycled, please consider doing so. It’s a small effort that adds up to make a big difference. There’s nothing in your box that needs to be kept cold. This is great because it means packaging can be kept to a minimum. There’s no need for ice packs, added insulation, or dry ice. It cuts down on the amount of packaging you have to dispose of or recycle. That’s always a huge plus in my eyes. And you also won’t have to worry about your food spoiling during transportation as you wait for its arrival. 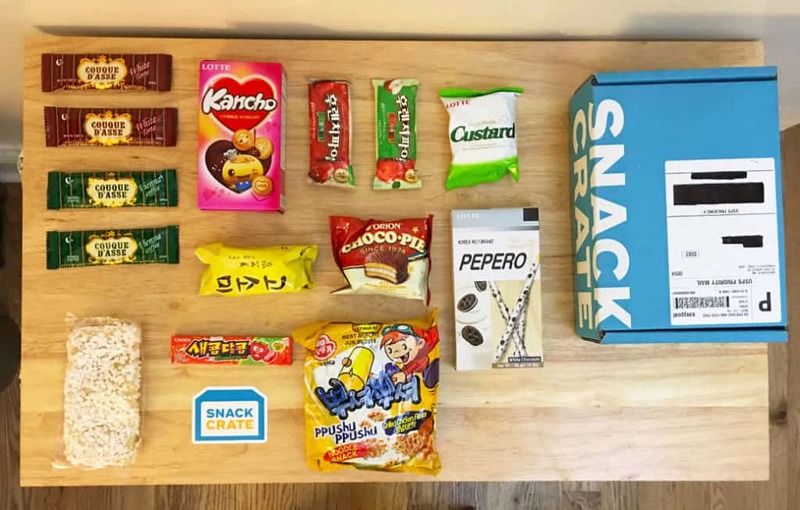 As mentioned, the reason it takes a while for your monthly box to arrive is because SnackCrate is sourcing the snacks directly from the country they originated from. They have to select the snacks and get them from the manufacturer. This means all of the snacks are required to go through U.S. Customs before they can be packaged in a SnackCrate box and sent to your home. So, since those snacks are being curated each month, that means they aren’t sitting around collecting dust in a warehouse somewhere. You can feel pretty confident that everything will be fresh and ready-to-eat. There shouldn’t be any expired snacks in your box or anything that’s even nearing its expiration. If you do find that any snacks have expired, contact SnackCrate customer service as soon as possible to have it remedied. What’s enticing about SnackCrate is that the contents of each monthly box is a complete surprise. While you’ll know the country each snack originated from, you’ll have to wait until your box arrives to see what you’ve actually received. The good news is, you’ll get plenty of variety with chips, crackers, cookies, and so much more. And if you choose, you’ll even get a refreshing drink as well! While some of the snacks are sure to be quite different from what you’re used to, it’s still a fun opportunity to try new things. In our experience, the items are tasty and a delight to indulge in. Plus, it makes for a fun snack to pack in your work lunch because it’s a good way to get the conversation going between you and your co-workers. And hey, if you’re up for sharing, I’m sure they’d love to try out your new snacks too! Our first box was full of different types of snacks—cookies, candies, and even a Japanese ramen snack. I would list all of them here but the vast majority had foreign names and writing that we couldn’t understand or interpret. It would be helpful to have some sort of translation card for the foreign snacks so that you know what they are prior to eating them. It might be a little risky for people with certain food allergies. That being said, it was really fun to open and try them out. The surprise of what you were going to be eating, without being able to understand the words on the packaging was actually quite entertaining. The price you pay will obviously depend on the box you choose to order. With three different sizes to pick from, it all comes down to how many snacks you’d like to receive each month. 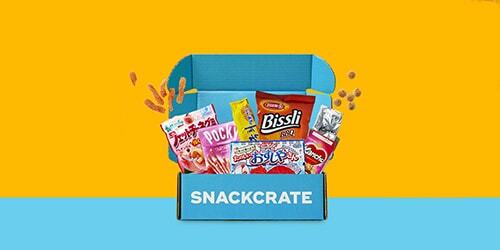 If you go for a Mini box, you’ll receive five full-sized snacks, which comes to $12 per crate for first-time customers. For heavy snackers, you’ll want to look at the Original or Premium Crates. The Original box is the most popular, which hosts $20 per crate for new customers. It provides you with 10-12 full-sized snacks. The Premium box costs $35 for new customers and it’ll get you 18-20+ full-sized snacks to enjoy. You’ll receive this discounted rate on all three boxes for your first month with SnackCrates. If you choose to continue a subscription with them and receive a new box on a monthly basis, there will be an increase in price. The Mini box will become $14 per month, the Original box will be $26 per month, and the Premium box will be $49 per month. You’ll receive free regular shipping with the Mini box, but the Original and Premium boxes will get you free Priority shipping as an added bonus. Free shipping is always a nice touch, as it keeps some extra cash in your wallet. Because these plans automatically renew, you’ll want to keep in mind that you’ll be billed on the 5th of every month, as long as your subscription is active. You are able to cancel your subscription at any time, so you never have to feel like you’re locked into anything. Canceling your subscription just takes a few clicks. All you have to do is log into your account and choose the “Cancel Next Plan” option via the “Subscription” tab. They also accept all major credit cards for payment, which includes American Express, Visa, MasterCard, Discover, Diners Club, and JCB. They also accept BitCoin payments, but you will have to contact them ahead of time for this. 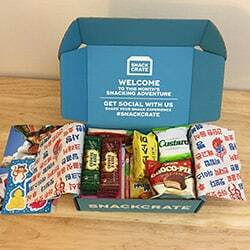 Another great feature of SnackCrate is that they’ve set up a referral program for their customers to take part in. It’s a fantastic way to earn some free snacks! All you have to do is share your referral link with friends and family. When they sign-up through your link, you’ll receive a $10 credit for each person. This credit will go towards your monthly subscription costs. There’s no limit to how much credit you can earn, so feel free to share your referral link with everyone you know. It’s such a simple way to reward their customers, but it’s also a great way to spread the word and reach plenty of new people with their service. For anyone who loves to try snacks from around the world, SnackCrate is a great service to try. It’s a fun way to experience some popular treats from other countries. What’s even better is that you can experience these foreign snacks without ever having to leave the comfort of your own home. If you watched our SnackCrate review on YouTube, you’ll see that we had a lot of fun trying out all of the unique and even strange snacks they sent. Have you tried SnackCrate before? Let us know what your thoughts are in the comments below! Trying to cancle but cant find how to do it! My family loves these. We received Switzerland as our first box. It was so much fun tasting. We can’t wait for our next one. I understand it will be from Brazil. I would like know if these are popular snacks or just snack from said countries. How do you decide what snacks you will pick for us. Happy to hear that, Bonnie! 🙂 Each box has popular snacks from the country.